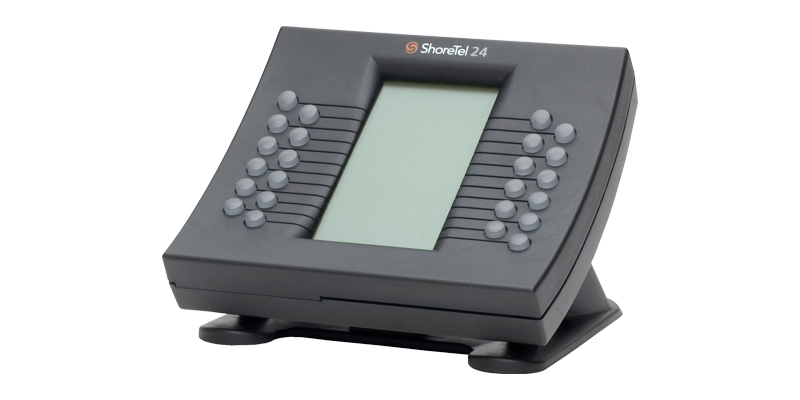 The ShoreTel IPBB24 programmable button box provides operators and assistants with at-a-glance presence information and fast, one-button feature access. The 24 buttons can be customized to suit the needs of different users. Self-labeling keys eliminate paper labels, saving time while ensuring the accuracy of configuration. The only IP-based device on the market, the BB24 includes an Ethernet switch and provides PoE power forwarding for one downstream device. Up to four devices can be associated with an IP Phone. Effective June 30, 2016 this ShoreTel IP Phone will no longer be available. Customers can purchase this phone confidently, as ShoreTel will support the product for five years after sale.